The human body can be compared to a car, in the sense that without fuel it is unable to move. Cars have different types of gasoline with varying levels of octane to give the consumer the choice between a high-performance option and a cheaper option. The human body’s fuel is the food you eat, and just like with gas in your car, you can choose to eat healthy foods that might be more expensive, or you can choose to eat less healthy foods that cost less. Like the octane level of gas dictates how quickly the car can burn fuel, the amounts of various nutrients in food dictates how quickly we can use energy, measured in a unit called calories. Nutrients are natural chemical compounds within our food. All foods have different amounts of nutrients in them, and different nutrients do different things for our bodies. Some nutrients have a much higher impact on our bodies than others. The study of choosing foods based on their level of the various nutrients is called nutrition. Pictured above is an example of a nutrition facts label. 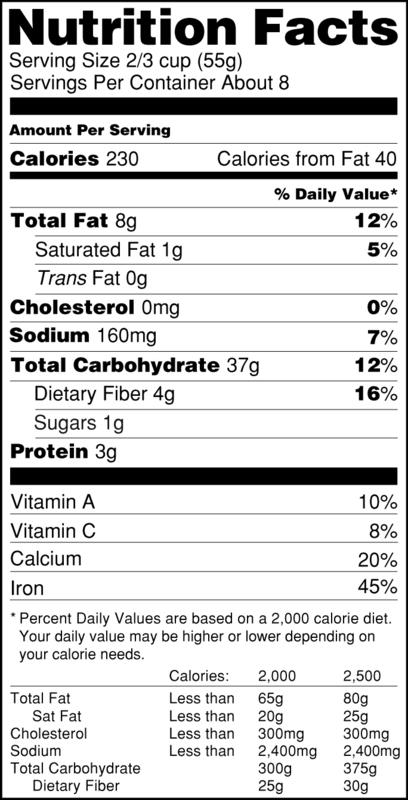 Food manufacturers are required to include a nutrition facts label on all packaged food. 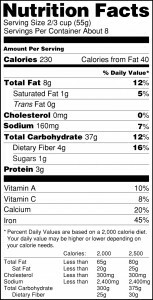 Nutrition facts labels are a resource you need to use. Nutrition facts labels tell the consumer how much of the nutrients with the highest impact are in the chosen food. While foods have many nutrients in them that are good for our health, there are also many harmful things we can be putting into our bodies. When choosing foods, fresh food is typically better than pre-packaged food, and we usually want foods higher in vitamins and minerals, protein and fiber. We want to minimize the amount of fat, cholesterol, sugar and sodium we consume. Over-consumption of these compounds can result in many health detriments, for example, heart disease, high blood pressure, and type 2 diabetes. It is therefore always better to eat food that has less of these harmful compounds. Opt for salads, water, and snacks like fruit or yoghurt instead of sweets, sodas, and fatty snack foods like potato chips. For more information on healthy eating, visit Canada’s food guide.